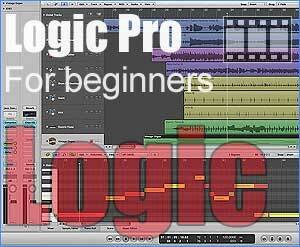 Apple Logic Pro Free Tutorials: Chapter-3 - Arrange-Page-3 - More Arrange-Page including: The signal flow and relationship between the record-tracks in the track-list column, the inspector-column, chanel-strips & the library tab of the media-column. Also channel-strip-settings, Busses & grouping channels, and more! Chapter-4 will be coming soon - Unless I find some extra stuff to add about the arrange-page then Chapter-4 & Chapter-5 will be the Piano-roll editor & the Hyper-editor; the 2 primary MIDI editors in which the MIDI note editing for your compositions are done... Also there's a short tutorial coming about the arpeggiator - stay tuned! There are a total: 11 comments posted to this page. Can't wait for the next chapters to pop up! Must be the best Logic tutorials out there. Thanks for taking the time to put these up - you could charge folk for these, great quality! Great, thanks. What about that list of key commands? Thanks for taking the time and effort to make these fantastic tutorials. They have been a massive help to me...please keep them coming! chapter 4 is being prepared now and it is a big chapter! Outstanding! Many thanks for doing this. By the way: When do you sleep? These are unbelievably useful and you've saved me hours and hours in getting to grips with Logic. I had found it such an infuriating program, having used Ableton for so many years, but know I'm finally getting on with Logic too. I really appreciate it! THANKS!!!!!!! AND GOOD HEALTH ALWAYS BE YOURS!! I WILL ALSO BUY YOUR VIDEO IF YOU SELL THEM.